When I introduce these interviews I try to give readers a little insight into how I know the author I’m interviewing. Here’s the funny thing with Lori: I know her. We’ve met. I follow her on Instagram. We DM each other there, but I for the life of me couldn’t remember exactly who introduced us or how we met. I did recall a few details: we met in Lexington at the Incredible Food Show in the fall of 2011. I was promoting my first cookbook, and Lori lived in the Lexington-area at the time. Beyond that, the details escaped me. So I emailed Lori and told her that I couldn’t remember exactly who introduced us. Could she fill me in? Here was her reply: “I think we may have originally met online when the girl who wrote [insert name of a particular blog] (I can’t remember her name) approached me to review your cookbook. Then I think we met in person at the show. Although I can’t remember who introduced us. It might have been J. but I feel like there was someone else showing me around that show and I can’t peg who it was!” This made me laugh out loud. Neither of us could remember who introduced us! Regardless, Lori is a breath of fresh air and I love her cookbook concept for her cookbooks. 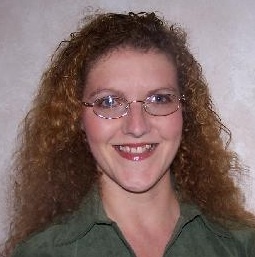 Lori now lives in California, is an accomplished photographer, cookbook author, mom to 2 pugs, and is a “liquid bread” expert. Here’s my interview with the lovely Lori Rice. What was the publication date? Technically, no. Strangely, this is always a tough question for me to answer. My book, The Everything Guide to Food Remedies, published in March 2011. 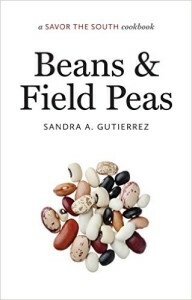 It contains 150 recipes focused on fighting and controlling disease. (I’m a nutritional scientist by education.) Writing it felt a lot like writing my blog, though. 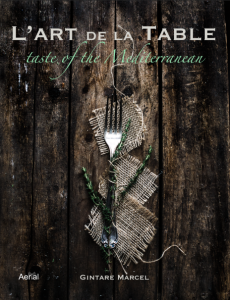 My goal with cookbook writing was to have a book with focused recipes and photography. As a result, I rarely even mention my first book. 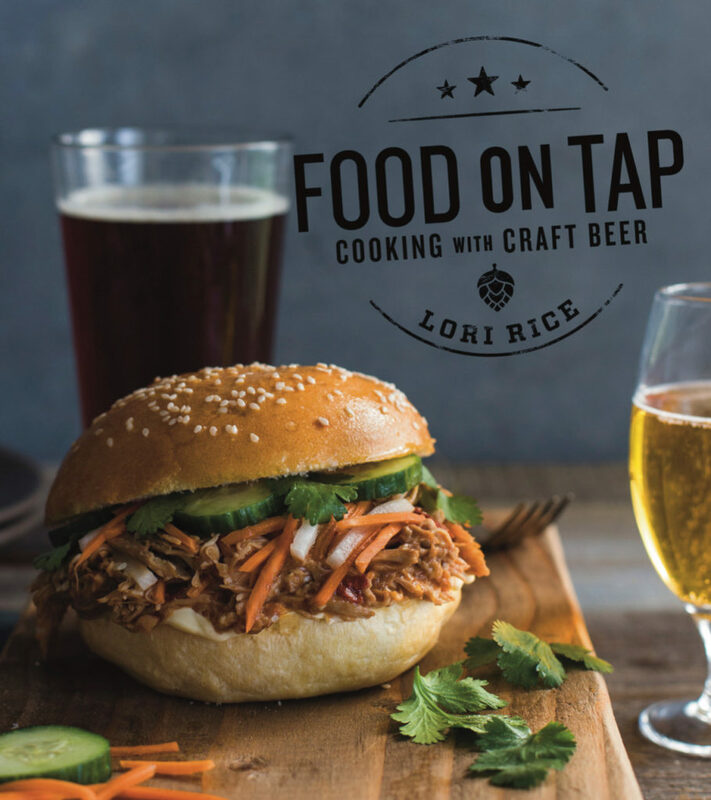 I didn’t feel like a cookbook author until Food on Tap was published. Plus, I’m also a food photographer. It makes up the largest majority of my work these days. I really wanted to photograph my own book. Once I did, I felt like a part of the industry somehow. Like it solidified things for me professionally. I love print. I enjoy the web-based work I do for my food blog and for my clients, but I’ve always liked to hold something in my hands. I’m not sure how to explain it, but personally, it feels like a bigger accomplishment. I feel the same way when I write for magazines. Writing a cookbook seemed like a good fit for my goals. In March 2009, I wrote my first cookbook proposal for One Year in My Kentucky Kitchen. 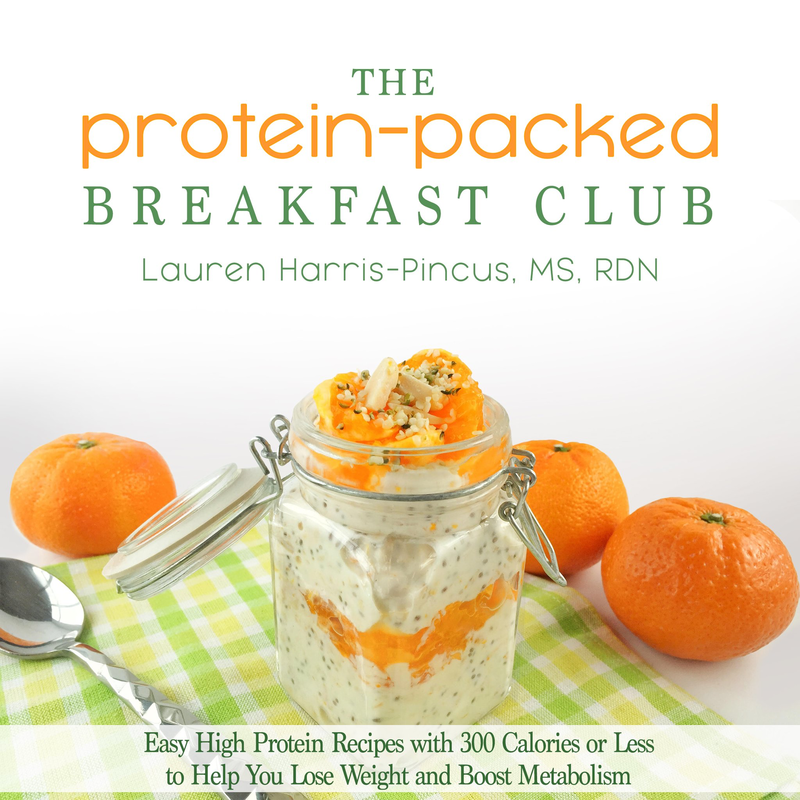 (The was ultimately published as The Kentucky Fresh Cookbook in 2011). In a cookbook proposal, it’s important to identify cookbooks that you like or that you believe are competitors to your proposed book. This gives the agent or editor a glimpse of your “vision” for your proposed cookbook. One of the cookbooks I identified in my proposal was Chocolate and Zucchini: Daily Adventures in a Parisian Kitchen by Clotilde Dusoulier. Here’s what I wrote “Based on a blog by the same name, this sweet book contains four-color photography and a unique design. I like the size and “feel” of this paperback cookbook.” At the time I was very into how I wanted my cookbook to “feel” when someone used it. And, based on that criteria, I identified Clotilde’s book as a book I admired. Now here we are in 2018. Clotilde just published her fifth cookbook and my third and fourth cookbooks will be published this fall of 2018. Clotilde lives in Paris. I live in Kentucky. Despite living across the ocean from each other, our paths crossed in a coaching program. Life delivers the most wonderful coincidences and it happens to me all the time. I cross paths with someone. I don’t see them for a while, and then all of the sudden our paths cross again, as we weave in and out of each other’s lives. I admire Clotilde and her work. And one day, I think we are going to meet, if not in Paris, then here in the beautiful state of Kentucky. 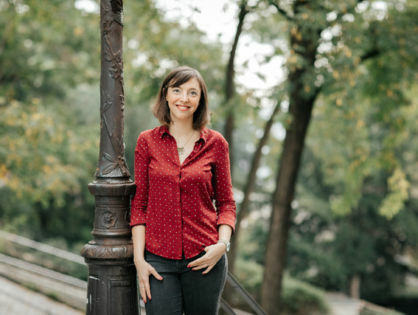 And if you’re still reading this introduction, I hope you enjoy this interview with Clotilde, about her fifth book, Tasting Paris, which as listed as one of the 37 New Cookbooks To Buy This Spring, by Epicurious. What is the name of your cookbook(s)? 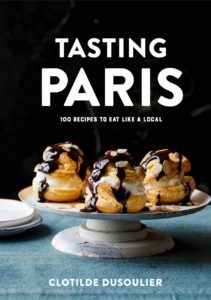 My new cookbook was published on March 20, 2018, and it is titled Tasting Paris: 100 Recipes to Eat Like a Local. Do you have a food blog? Was your blog a driving force in obtaining a contract? I’ve known Cameron for several years. She worked for my first publisher, the University Press of Kentucky. When I thought of someone to interview for this expert series, Cameron came to mind. She’s everything I imagine a book publicist to be: always looking for creative ways to get “free” promotion for a book. Cameron has moved on to another publisher, but because of the relationship we developed I know she’s always part of my cookbook business and I love her for that. Thanks, Cameron. Can’t wait to visit Austin! I’m a Publicist, which basically makes me the carnival barker at the press. I’m always working to make sure media not only know about new and forthcoming books but also connect them to backlist titles and authors who can help inform or interpret their reporting. Most of what I’ll talk about below refers to publicity and not to marketing, meaning I’ll be talking about promotion for your book that’s not paid for. Marketing would be another round of answers to these questions that would encompass advertising, exhibits, direct mail, and other ways of pushing your book out to the widest audience possible. What are the most important parts of a cookbook author’s platform in today’s digital media driven world? Having a platform at all gives an author an immediate leg-up on the publicity game. I realize it’s a lot to juggle—turning yourself into a charming, multi-platform, multi-media, chef/nutritionist/writer/photographer/tweeter/podcaster/curator, and all-around culinary guru. But! If you take a step back, it’s really just about having something to say that people want to listen to. The other thing to always keep in mind when you’re talking about publicity is, “What’s the result I want?” Your digital marketing approach will be different if you’re looking to build followers than if you’re trying to sell a product, and different still if you’re doing both. 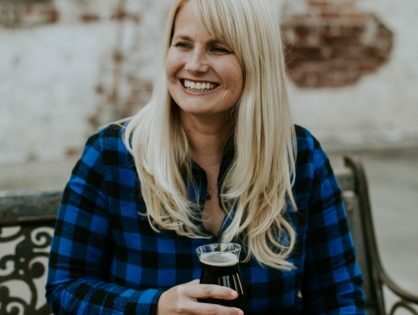 That difference, by the way, between building an audience and selling a product is a subtle but important one—especially for cookbook authors. A few years ago, I met Lauren virtually through a con versation about her desire to write a cookbook. This is one of the things I love about taking with aspiring cookbook authors. I get to hear about their dream of writing a cookbook and help them see the possibility. Lauren took our conversation to heart. She identified her concept, wrote a cookbook proposal, found an agent, chose her best route to publication, and wrote her cookbook! I feel so happy for Lauren. 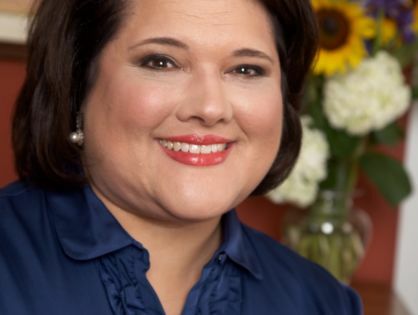 I want everyone to learn from what she, and many other cookbook authors, has done. Please enjoy this interview with Lauren Pincus. When was your book published and by whom? What are the main components of your author platform? Social media including Facebook, Twitter, Instagram and Pinterest as well as my blog at Nutrition Starring You. I am frequently quoted in the media and on podcasts and radio. 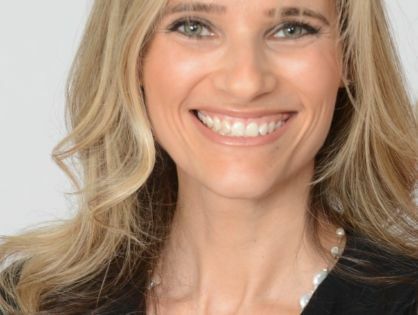 I have always been a breakfast lover, and I found it intriguing that the most common challenge of my patients is their inability to consume a healthy, balanced breakfast. Whether it’s lack of time/resources/ideas/knowledge, there’s always some excuse to skip breakfast or eat something that is not properly fueling your body. I wanted to create a resource for my own patients as well as other RDs whose clients struggle with the same issue. I self-published through my book agent’s small publishing company, Eggplant Press, using CreateSpace. My heart was set on having a print book vs. simply an ebook. I’ve never liked cooking from a screen, so I always print out recipes from websites before I cook. I like to take notes in the margins and make ingredient substitutions which I’m unable to do with an ebook. What advice do you have for an aspiring cookbook author who wants to write/self-publish a cookbook? 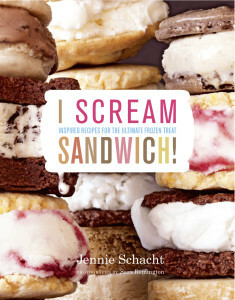 As with many of the cookbook authors I have interviewed for this blog, Jennie Schacht is a participant in the Cookbook Friends Facebook Group. This is an active group where cookbooks and publishing are discussed. Group communities are a very popular way to interact on Facebook. In this group we hear different perspectives from aspiring and published cookbook authors, as well as those who have experience with copy-editing, design, promotion, and marketing. Jennie was kind to agree to do this interview and share her experiences about writing cookbooks and give some tips about ghostwriting as well. Thank you, Jennie for your participation. What is the name of your most recently published cookbook? i scream SANDWICH! published in 2013 by Stewart, Tabori, and Chang. Actually, it is the seventh of eight books I have done so far. I feel very fortunate to have had these opportunities. My first was a collaboration with a wonderfully creative pastry chef named Mary Cech, who taught at the Culinary Institute of America. The book was called The Wine Lover’s Dessert Cookbook, and it was published in 2004. The first book I did entirely independently was called Farmers’ Market Desserts. 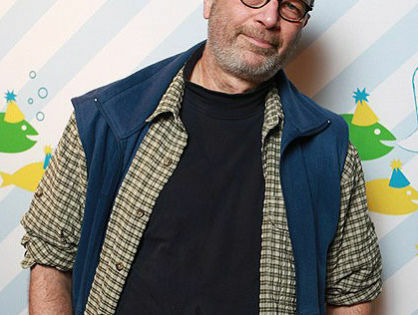 Both of those two were with Chronicle Books in San Francisco. In addition to those two and the ice cream sandwich book, I’ve written five books for other authors, as either a named or a ghost writer. Those include Southern Italian Desserts with Rosetta Costantino (2013, Ten Speed) and Without Reservations with Joey Altman (2010, Wiley). What compelled you to want to write cookbooks? I’ve pretty much always wanted to write a cookbook. When I met Mary Cech we just clicked, and I asked her to be in touch if she ever wanted to do a book. She was and we did, and it was so much fun, I guess I couldn’t stop after that. For the first cookbook, I worked with my co-author to develop our concept, and then I drafted a letter and sent it to several agents. Only one replied with interest but she was very enthusiastic, and she was successful in selling the book concept to Chronicle Books. I think enthusiasm for the work goes a long way in selling the concept to a publisher. You mentioned that you have been a ghost writer for some cookbooks. 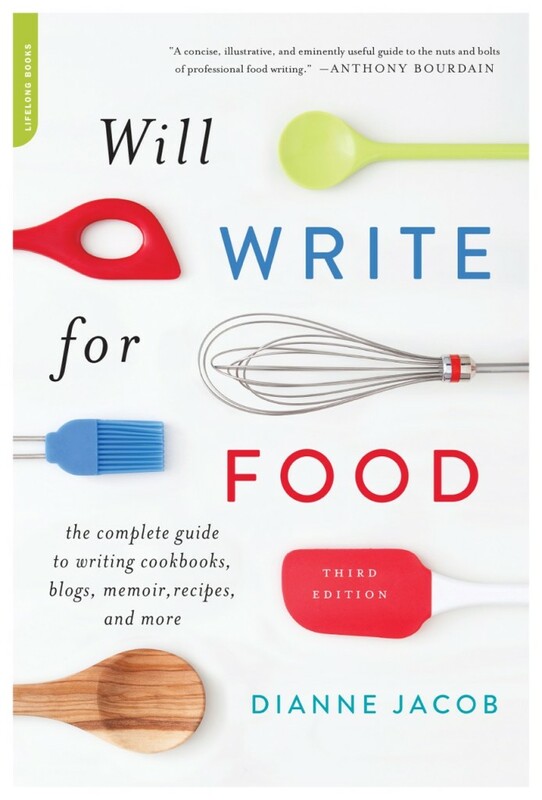 Tell us more about ghost writing a cookbook. Ghost writing typically means that you write the book for the author in their voice, as if they wrote it themselves. Sometimes it can include developing recipes, other times it’s writing the narrative portions (front and back matter, chapter openers, recipe headnotes, etc.). I really enjoy channelling other people’s voices and personalities, so I find it a fun challenge to write books for others. Should an aspiring cookbook author hire a ghost writer? 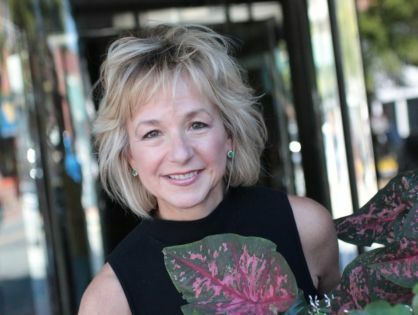 Cookbook Author Interview: Ann Benoit: There Are No Excuses For Anything Less Than The Best Quality Possible. 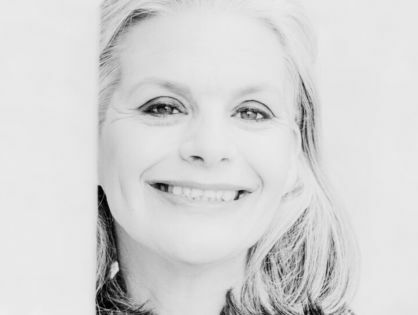 Former assistant attorney general for the State of Louisiana, Ann Benoit lives, loves, photographs, and writes about New Orleans. Ann is a member of Cookbook Friends Facebook Group and I met her there. 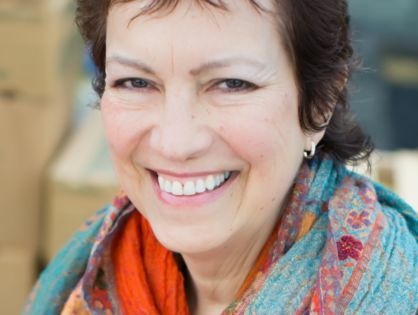 As a fellow-member of IACP, I reached out to Ann to do this interview about her experiences writing cookbooks. I find her insights full of good tips and suggestions for anyone in the cookbook-writing business. Discover the best seafood in the city that defines seafood. Cook with established celebrity restaurants—including Ralph Brennan’s Red Fish Grill, John Besh’s Borgne, and Dickie Brennan’s Bourbon House Seafood—and classic eateries such as Middendorf’s and Pascal’s Manale. Explore fresh tastes from the newest generation of great chefs: Jason Seither of Seither’s Seafood Restaurant and Oyster Bar, Edgar Caro of Basin Seafood and Spirits and Crudo+Bar at Baru, Keith and Nealy Frentz of LOLA Restaurant, and many others. 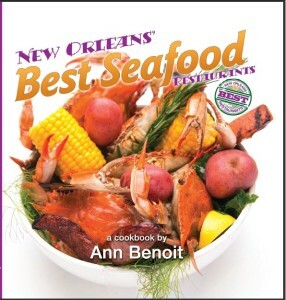 From Ann Benoit, the celebrated food photographer and writer who gave us two of Louisiana’s Top 20 Cookbooks, comes New Orleans’ Best Seafood Restaurants, an adventure into the five basic seafood groups: crab, crawfish, oysters, fish, and shrimp—plus turtle and alligator: a little bit of lagniappe. Is this your first cookbook? If no, tell us about your other cookbooks. No. It is the third cookbook published in my name. My prior cookbooks include New Orleans Best Ethnic Restaurants [Pelican Publishing Co., 2014] and the Broussard’s Restaurant and Courtyard Cookbook [Pelican Publishing Co., 2012]. What compelled you to want to write a cookbook? Can you tell us how you were offered a contract for your cookbook? I am less compelled and more evolved into cookbook writing through a gradual process and long-term acquisition of skills. Looking back, the path seems almost pre-ordained, but it neither looked nor felt that way at the time; it was a long and difficult struggle. A New Orleans native, I was blessed to be raised in America’s mecca of food and to be the product of a number of food-obsessed family roots including Cajun and Italian. The food industry is the culture of New Orleans the way the auto industry is the culture of Detroit, the entertainment industry is the culture of Los Angeles, the gambling industry is the culture of Las Vegas, and the publishing and financial industries are the culture of New York. 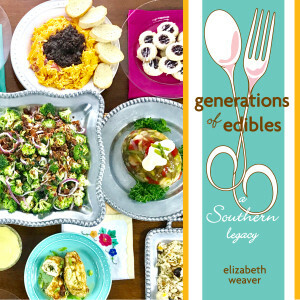 Cookbook Author Interview: Robyn Webb: You Must Believe In Yourself! 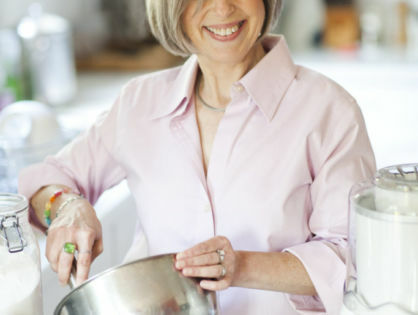 As you’ll read in this interview, Robyn is a prolific cookbook author. However, little did I know when I asked Robyn to participate in this series, that she had even written a travel guide about Paris. One of the secrets to Robyn’s cookbook success revolves around her area of expertise with diabetes. As a result, she became known for her knowledge and was sought after to write cookbooks on the topic of diabetes. 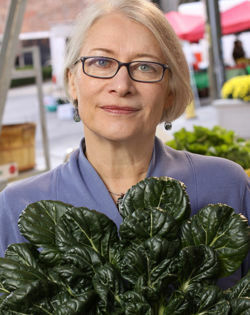 In addition, Robyn is connected with her audience as the food editor for Diabetes Forecast magazine. It was the result of her extensive travel that Robyn made the leap into another book genre – travel guides. I think this is of value to remember – just because you want to write a cookbook, it doesn’t always mean that you will always be stuck in that genre. There are topics for both fiction and non-fiction books that aspiring authors can write about, as well as many routes to publication of your books including eBooks. 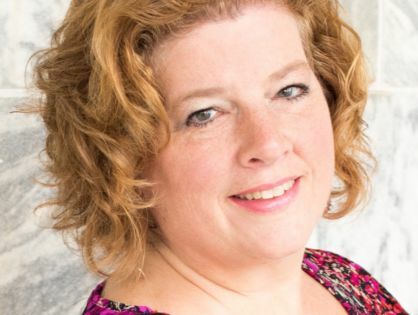 Thanks, Robyn, for participating in this interview series and for being a good role model for everyone who wants to write books, especially cookbooks. What is the name of your most recent cookbook? I’ve actually written 16 books and at work on one now. 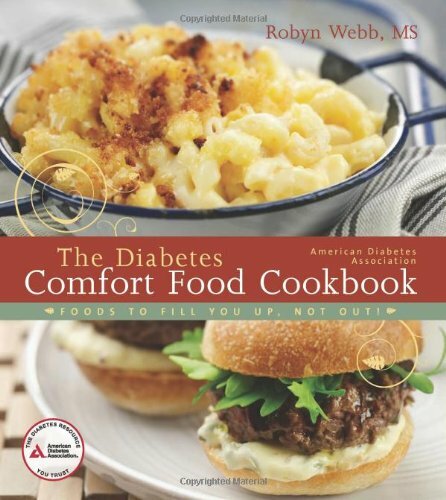 My last cookbook was the 2-time award winning The Diabetes Comfort Food Cookbook. It has remained in the top 5% of all books on Amazon since 2011 and is still the number one bestseller in the American Diabetes Association book store sales. Wow there are many. Most of my books are with the American Diabetes Association as my expertise as a nutritionist is diabetes. I serve as the Food Editor of their award winning magazine Diabetes Forecast. All of my books are special to me, starting with the bestseller (and my largest money maker) Diabetic Meals in 30 Minutes or Less written in 1998. At first, I thought, oh right, just what the world needs – another cookbook! I actually never planned on writing cookbooks at all. But when American Diabetes Association came calling in 1996, they hired me as a consultant to the magazine at first, then they added me to their editorial board, then they gave me my own column, and then asked me to write a cookbook for them. Ever since then it snowballed into making diabetes my niche. I’m from an entirely different generation well before we even used computers in our everyday lives! I started a blog several years ago, but honestly I don’t come from that arena – I honed my skills as a writer the old-fashioned way. 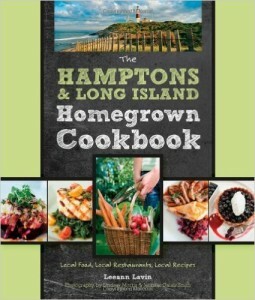 So no, a blog was not instrumental in my cookbook success. 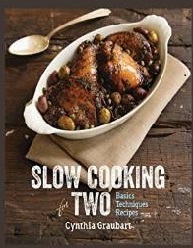 Cookbook Author Interview: Fiona Young-Brown: Don’t Be In a Hurry. Figure Out Your Niche. It’s Kentucky cookbook author month here on the interview series and today I introduce a cookbook author who first wrote two history books, one about Lexington, KY. 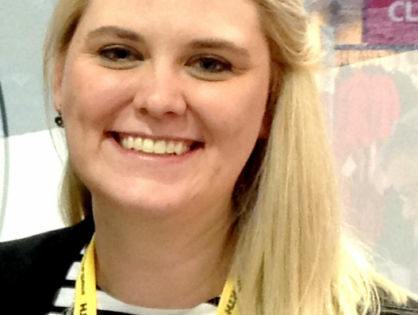 Originally from England, Fiona spent several years living in Japan before moving to Kentucky. With an academic background in American history and women’s studies, she was fascinated with the similarities between Kentucky and her native England. In June, Fiona and I are sharing a space at the Lexington Farmers’ Market “Homegrown Author Series” and I look forward to spending the morning with Fiona. 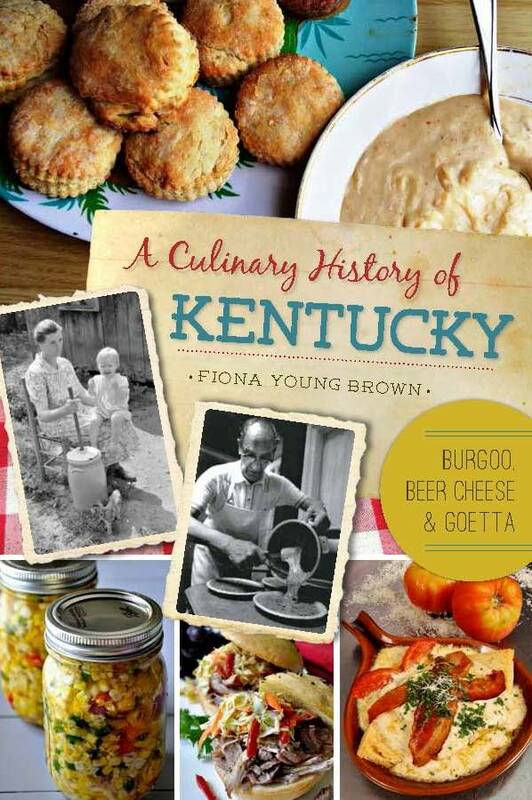 A Culinary History of Kentucky: Burgoo, Beer Cheese, & Goetta. Is this your first food history book? Yes. I’d written two local history books but this was my first to look at this history of food. What compelled you to want to write a your Kentucky food history? Can you tell us how you were offered a contract for your book? Did you have an agent, self-publish, or find a publisher without an agent? I’ve been interested in collecting recipes for some time and have been food blogging for a few years at CrazyEnglishWomanCooks.com, but that was always more as a way of sharing what I was cooking with my family and friends back in England. Since moving to Kentucky about 13 years ago, I’ve always been struck by the similarities in culture (food, music, language, etc.) between here and the British Isles. I think the anthropologist in me is always keen to find common points between cultures. The History Press, with whom I’d published Wicked Lexington, approached me to say they would like to work with me again, but I felt as if I had gone as far as I wanted to with Lexington history. I mentioned my food blog and they happened to have started a new collection: “American Palate, Exploring America’s Regional History Through Food”. They sent me a few samples of other books in the series and I instantly knew that I wanted to write something for them. Their first suggestion was bourbon but there are many writers who know much more about that subject than me. I had just written a piece for Culture magazine about the history of beer cheese, and so I suggested a more general history of Kentucky food – looking at the influence of immigrant groups and at regional dishes. Kentucky has so many foods that are very specific to certain locales – beer cheese in Central Kentucky, goetta just across from Cincinnati, etc. These were fascinating to me. The History Press loved the idea, and then all I had to do was write the book! If I want to write a book, do I need to retain an agent? No, not in my experience for non-fiction with smaller presses. Do aspiring cookbook/book authors need food blogs? If no, what other ways can they promote their work (or how do you promote your food writing work)? Rona and I are both Kentucky cookbook authors. We shared space at book-signing events for our first books and we also share a love for Kentucky – it’s food, people, and kitchens. 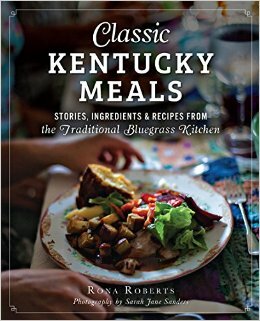 It is with great joy that I was able to interview Rona about her cookbook, Classic Kentucky Meals. Though we live 90 miles apart, I ‘m sure that if we lived in the same town I’d frequent her weekly Cornbread Suppers as much as possible. The suppers are a fun way to share what we love: meals, stories, and the company of others who enjoy the same. This is my second book. My first, Sweet, Sweet Sorghum: Kentucky’s Golden Wonder, focuses on an ingredient, sweet sorghum syrup, and included eight recipes. It is primarily an introduction to the culture and uses of sorghum, not a cookbook. People buy it for the recipes, though, to my surprise. Kentucky’s growers and the great food they produce inspire me. I delight in telling the stories of Kentucky growers and Kentucky foods. I take great pleasure in using words and beautiful images to share stories about Kentucky cuisine and the people behind it. Classic Kentucky Meals came with two added bonuses: the opportunity to work with world class photographer Sarah Jane Sanders, and the great fun of having friends and fellow cooks coming together to prepare and share the five meals that form the book’s framework. In other words, I did it for love and for fun. The months of working on Classic Kentucky Meals were among the happiest of my life. Can you tell us how you were offered a contract for your cookbook? Did you have an agent, self-publish, or find a publisher without an agent? A commissioning editor from The History Press sent me a tweet praising my blog, Savoring Kentucky, and asking whether I had ever considered making a book built from blog entries. I did some research on the Press before responding. It took a few months for the idea that most excited me to take a firm shape. Fortunately, The History Press liked the proposed structure, topic, and framework, even though it was not drawn from my blog. No. But it probably would help if your aim is to be published by a major press. On the other hand, if you simply love writing about food and writing and promoting recipes, it may be better to forge ahead, get work done, and become better at the craft. You can use all that evidence to attract the right agent. 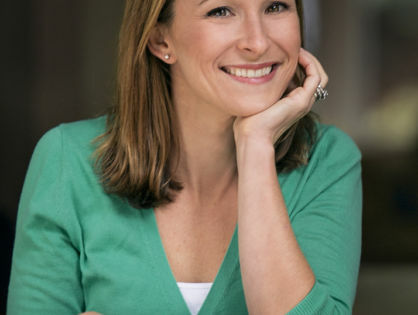 I’ve interviewed several dietitians who are also cookbook authors on my site. I believe that dietitians are well-suited to write nutrition-related cookbooks because of their knowledge of food, nutrition, and cooking. Dana and I are both members of a specialty practice group for dietitians who own their own businesses. Dana’s first cookbook was published in 2015 after she was approached by an agent to write about a cookbook about an area of her expertise. 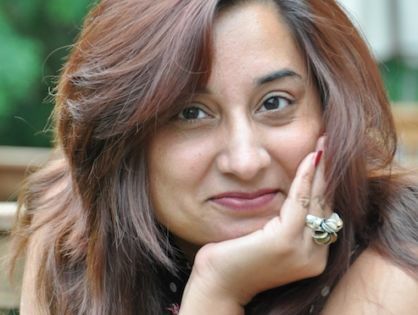 After successfully writing a proposal, her agent helped her find a publisher for her work. This is yet another way that cookbooks come to life for aspiring authors who are passionate about a topic related to nutrition and cooking. YES – I have contributed to other projects and created some sports nutrition e-cookbooks, but this is my first published cookbook. I am a culinary dietitian and a mom of 2 so a cookbook for families was something I’ve wanted to do for a long time. I was lucky enough to be approached by a literary agency so I could make this book a reality. I put the proposal together and they helped shop it around to publishers. I have two. A personal blog at DanaWhiteNutrition.com that often doesn’t get the attention it deserves in terms of frequently posting content – but even before that I helped to create the Healthy Eats Blog for FoodNetwork.com. I have been with them for 8 years and that has been a wonderful opportunity. 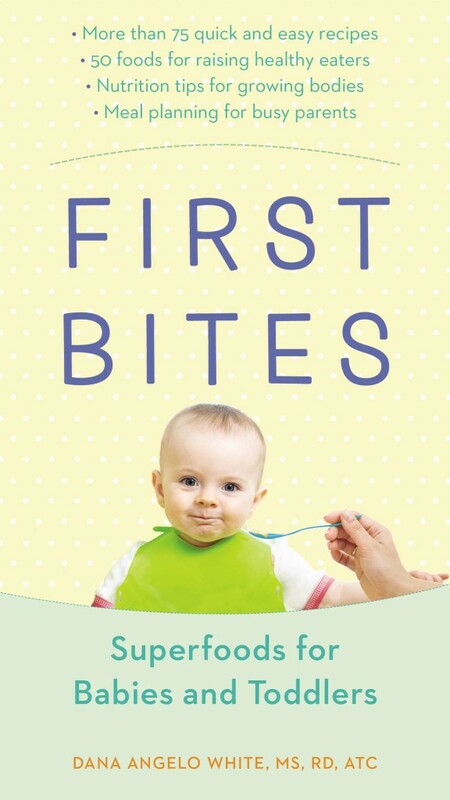 First Bites was under consideration by a few publishers. I actually did turn down a few of the initial offers because they wanted to change the concept in ways I didn’t believe in. Looking back, I am so glad I stuck to my guns and held out for an opportunity I was truly excited about. Sure, especially for a first time author. I heard stories about how brutal the first round of edits could be – this actually helped! It was better to expect the worst going in. There was a lot to process, but overall it wasn’t that bad at all! Make sure you are truly passionate about your topic – you have to put in way too much work not to be! It’s a lot of work and projects like this are almost always on a tight timeline – time management is soooo important! Monica Bhide – an engineer turned writer – lives in Washington D.C. An expert in Indian cooking, Monica has written three cookbooks. 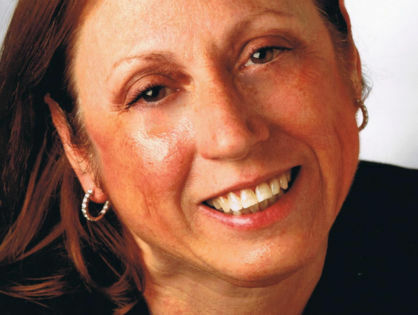 In 2014 her first work of fiction, The Devil in Us, was published. Monica belongs to IACP and our paths cross on social media in IACP and cookbook writing groups. 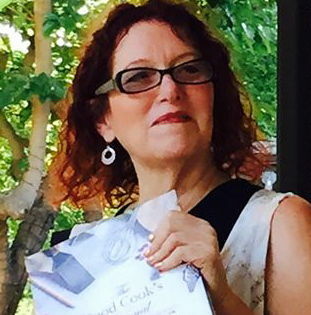 In this interview Monica shares her expertise on writing and what it takes to write three cookbooks. 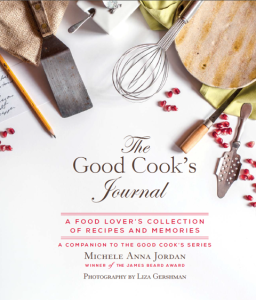 What are the names of your three cookbooks and when were they published? Everything Indian: 300 Tantalizing Recipes – From Sizzling Tandoori Chicken to Firey Lamb Vindaloo (2004). 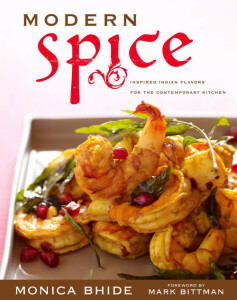 My third cookbook is called Modern Spice and was published by Simon & Schuster (S&S) in 2009. 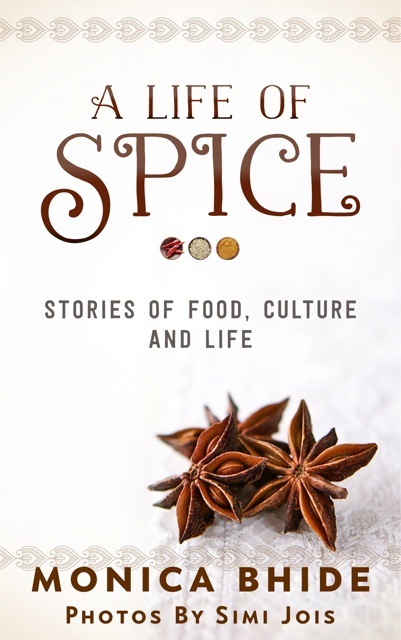 My most recent cookbook is A Life of Spice (2015). After you wrote your first cookbook, what compelled you to want to write more cookbooks? My third cookbook, Modern Spice, I pitched the idea [to my agent] and the proposal was bought by S&S. What compelled you to write a cookbook proposal for your third cookbook, Modern Spice, and pitch it to your agent and publishers? I felt that there was a need for an easy Indian cookbook that celebrated the cuisine of India but in a modern way. I wrote the proposal, and my agent submitted the book proposal to several publishers. He then helped negotiate the contract and contract terms with the editor at S&S. If someone wants to write a cookbook, do they need to retain an agent? I think having an agent is a bonus as [agents] know the market and have the right connections. Many [publishing] houses do not accept un-agented manuscripts. That said, if you have a followership [audience] of over 100K people, I am sure the publishing houses will be open to hearing from you. Also, and this is important, good agents really help you all along the way – from writing the proposal, to selling your idea to a publisher, to helping you work with your publisher. Good agents are worth their weight in gold! Do aspiring cookbook authors need food blogs? If no, what other ways can they promote their work (or how do you promote your food writing work)? Tough question. I get this all the time. I think it is critical to have a presence that YOU CONTROL – meaning FB, Twitter, or your own blog. Writing on a blog that is not your own (like say Huffington Post) – you have no control. If they close tomorrow or change their policy, you have no way of saving your work and your platform. Brian and I belong to a group of cookbook writers on Facebook. In this group any cookbook writer can ask a question and get a variety of answers from a variety of cookbook writers. Earlier this year I inquired about this set of interviews for my blog and Brian responded favorably to my request. Brian‘s approach to getting his ideas in front of a publisher through submitting a well-written cookbook proposal has worked well for him. This past summer his sixth cookbook was published. Enjoy this interview with Brian where he gives his insights into cookbook writing, cookbook publishing, and getting your name out there as an expert. If no, tell us about your other cookbook(s). Most of my other books are similar single-subject cookbooks but two; Cucina Piemontese and The Ploughman’s Lunch and the Miser’s Feast explored whole cuisines. I’m now branching out and starting to work with a chef too. There is always more out there! I am always eating new foods and meeting new cooks. As I learn, I take pictures and compile recipes. Right now, I have at least three different partially executed ideas. Only one has even been circulated as a proposal. Agents are a tougher question. I had one for a while, but he seems to have lost interest in the cookbook market. So while I am putting some modest effort into seeking out another agent, I’ll put far more into contacting publishers directly. However, you almost certainly need an agent to reach the top of the market. I would never self-publish a cookbook. Self-publishing ensures that your books will never appear in the places where most cookbooks are sold – especially big box stores, kitchen supply chains and supermarkets. Even online though, self-publishing supporters like Amazon.com rank self-published books below conventionally published ones in keyword searches and almost never includes them in bundles or “if you liked …” style suggestion lists. Have you ever seen a self-published book on sale at Willams Sonoma or Target? Those are the sorts of places your books have to be in order to earn real money. Selling a few copies at a demo is just not the same as having your books on store shelves.